Sleep deprivation - A hidden killer? The Croydon tram disaster in which seven people were killed has highlighted an issue that has been bubbling under the surface for years in the transport industry. Sleep deprivation, caused by shift working, has long been accepted as a risk factor but there has been a reluctance within the industry to recognise both the long and short effects on staff. 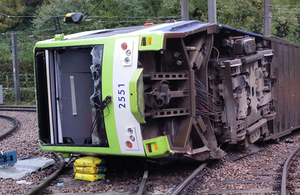 While the final report into the accident is not due until next month at the earliest, there have been unconfirmed reports that the derailment of the tram at speed on a bend may have been caused by driver fatigue. There were, in fact, quite specific warnings in relation to the risks of drivers falling asleep on the Croydon trams. In March 2014 a report was submitted to the tram operator, FirstGroup, highlighting drivers’ concerns over their shift rosters from CIRAS, the confidential help line for safety concerns within the transport industry. Although we do not know the particular roster of the driver in the accident, the report highlighted general worries about the company’s management of shift patterns. While generally those changing from a very late to a very early duty or vice versa had two days off in between, occasionally they only had one. The company responded by saying that all shift patterns are negotiated with the trade unions and refused to accede to suggestions that the overall pattern should be changed. 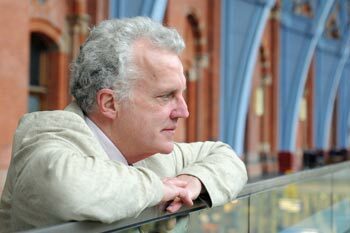 There are enormous implications if driver fatigue caused by poor shift management is found to be to blame, not just within the rail industry but also for professional drivers of both buses and trucks, and even possibly pilots, who despite having strictly regulated hours, are currently expressing concerns that have become public as a result of the Ryanair troubles. Transport and shift working are symbiotic and therefore any finding that requires greater priority being given to the risks of fatigue caused by poor shift rostering will have to be acted upon, with potentially major effects on the costs of running services. The issue has become particularly relevant because the revelation about the CIRAS report happened to coincide with the award of the Nobel prize to three scientists whose work has focussed on the importance to human health of not disrupting our natural circadian rhythms. The trio discovered that humans – and indeed animals and even plants - are actually genetically determined to keep time according to the earth’s revolutions. Breaking these patterns can be damaging to health and prevent people from sleeping properly as well as making them dozy during their waking periods. Again, there are widespread and far-reaching implications from this work which could impact widely on the transport industry. It is very unclear whether transport providers have taken this to task and adjusted shift patterns as a result, particularly examining each of their employees’ ability to cope with difficult rotas. If not, the findings of the report into the Croydon accident may well force them to do so.